Vaughan B. is a loyal regular customer on the NSW Central Coast since way back when he was using a Rocktron rig. 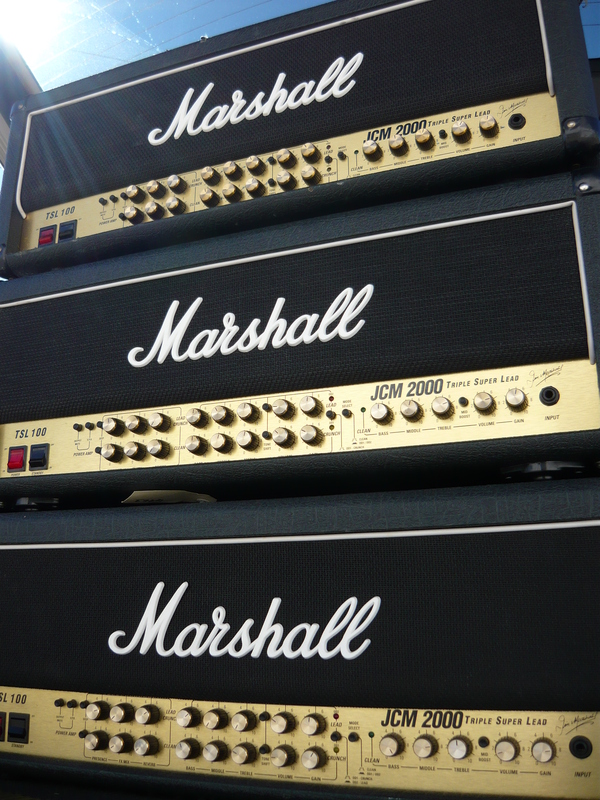 In more recent times he updated to a Marshall JCM2000 TSL100 head, which we also have been servicing for him. 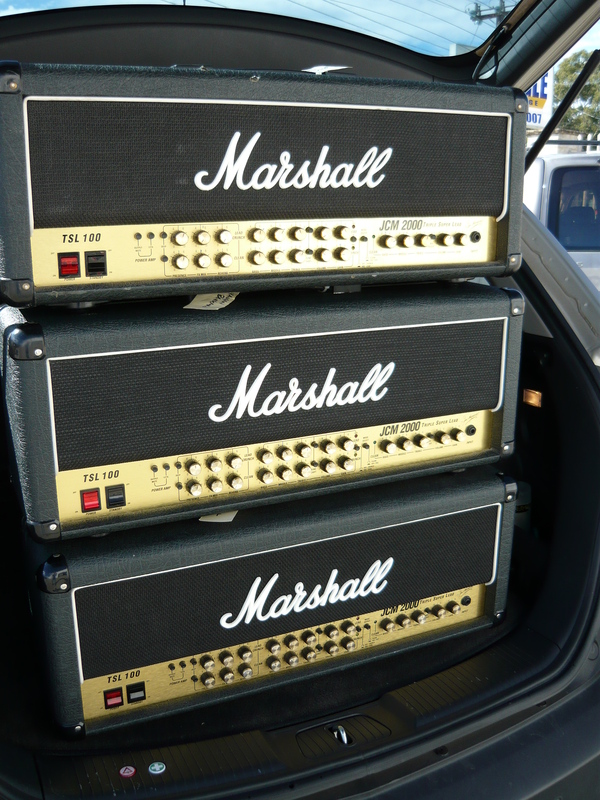 A couple of months ago the amp “just stopped” for no apparent reason, so back to the workshop it came. We already had a few TSL100’s in the workshop with similar symptoms, so we had a pretty good idea what might be wrong. Preliminary examination of Vaughan’s amp revealed that the 2 amp slow-blow mains fuse was blown and one pair of the existing EL34 output valves had experienced some kind of melt-down. In other words they had begun to draw more & more current, increasing out of control until finally the fuse blew. Unfortunately, the fuse didn’t blow quickly enough to save the amp from further (expensive) damage, as further testing revealed that the primary winding of the Dagnall power transformer had gone S/C (short-circuit). So far we will have to replace the quad of EL34 output valves, plus the power transformer. What could have caused such a scenario ? 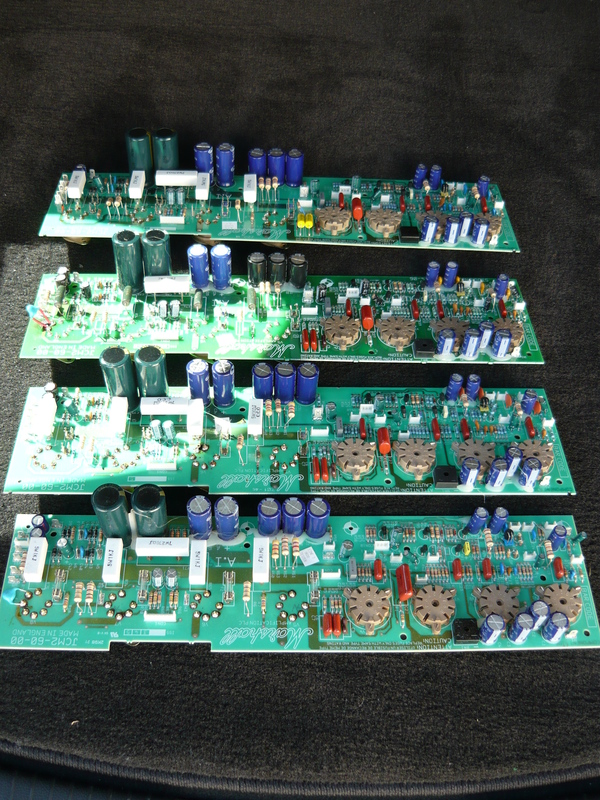 From past experiences with this specific model we have learned (the hard way) that some of the main boards have left the factory with inappropriate components loaded, and/or some boards have developed leakage paths which significantly upset the normal DC voltage conditions. Before you all start panicking, this scenario does not apply to every single TSL100, just some of them, and they are likely to have been manufactured earlier in the life cycle of this model, rather than later. 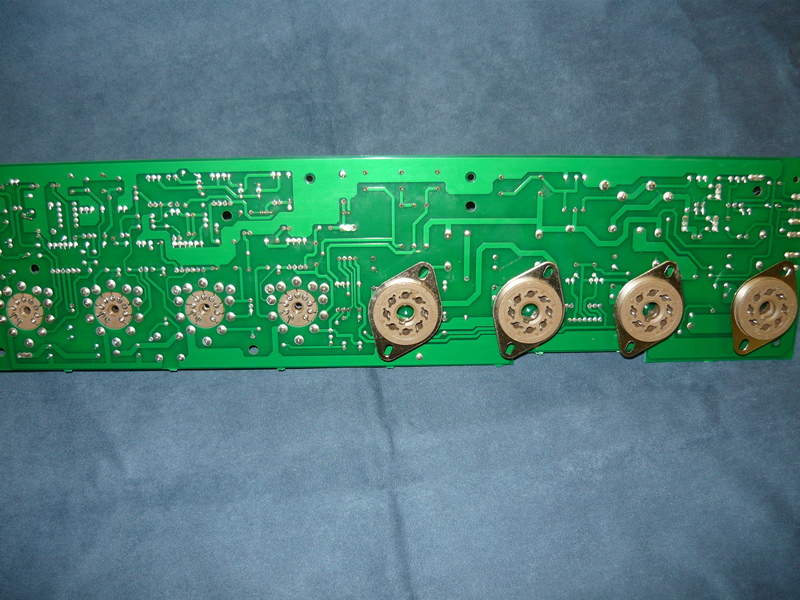 Looking at the photo to the right, you can see that the main board is the one that all the valves (tubes) plug into, ie the valve sockets are p.c.b. mounted. 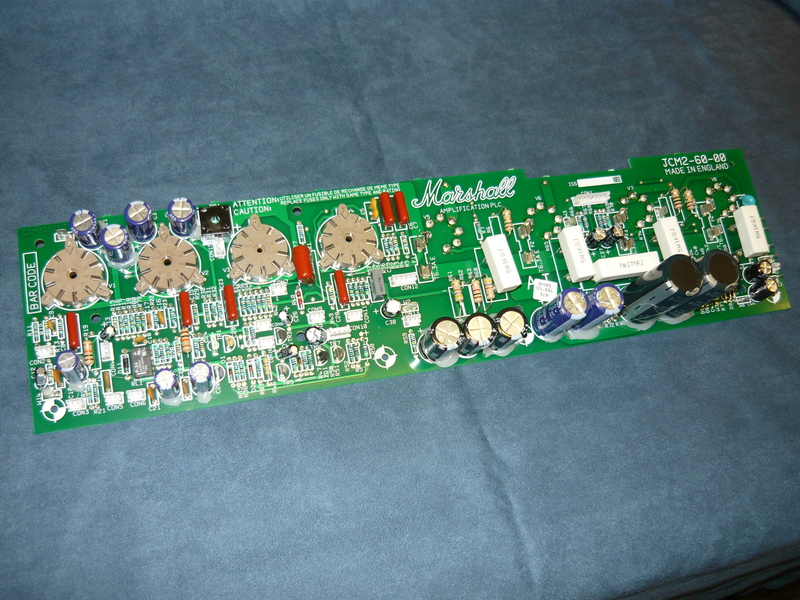 Most of the valve circuitry is mounted on the board, in particular all of the phase-inverter and power amp valve circuitry. The problem with Vaughan’s board is that a leakage path developed between the high voltage tracks & pads and the bias supply to one pair of EL34’s in particular. We have previously proven this to be true by powering up a faulty amp with the EL34’s removed, and a DVM (digital voltmeter) connected between pin 5 of one of the EL34 sockets & earth (ground). Over a period of time it was easy to observe the bias voltage to one pair of the EL34 sockets gradually drop quite significantly. This would result in a runaway condition for that pair of valves, just drawing more & more current. You can see from the photo to the right that components/tracks/pads are packed tightly together in this design, regardless of the design rules concerning high voltage on p.c.b.’s. 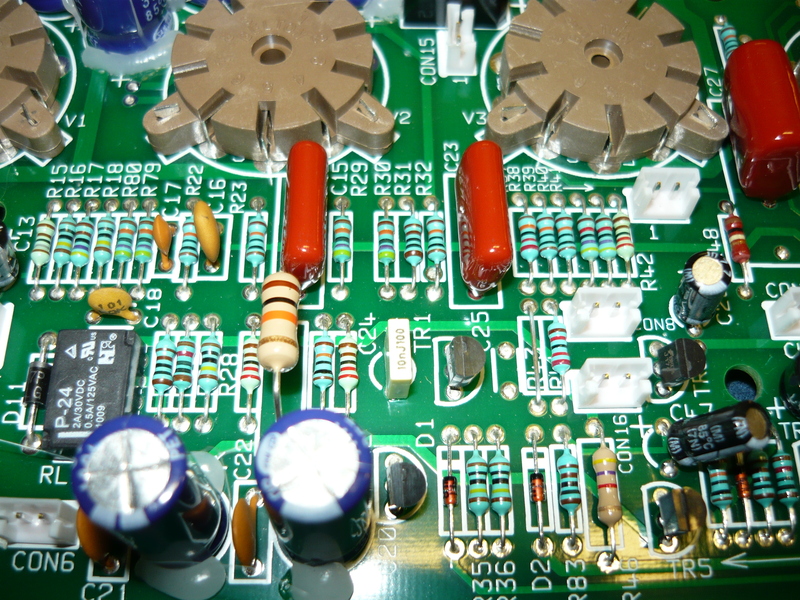 Nevertheless, in the numerous TSL100 amps where we have replaced the main board altogether, the repair has been successful, so the latest issue of this board appears to have had the problem corrected. But – back to Vaughan’s amp: we therefore ordered in a new power transformer, a new main board, and a matched quad of the very nice Mullard (reissue) EL34’s from New Sensor. To sum up, we replaced the transformer, board & output valves in that order, with a successful rebias of the EL34’s and conducted the usual power output tests (30V/8 ohms = 110 watts), burn-in tests & electrical safety test. The final cost of this major repair was significant – almost the resale value of this amp in the current economic climate, but at least Vaughan now has a reliable TSL100 to gig with. Vaughan B. is a very decent guy, and was happy to pay the estimated cost of repairs in full prior to commencement, so that we wouldn’t be out of pocket. We truly appreciate that ! 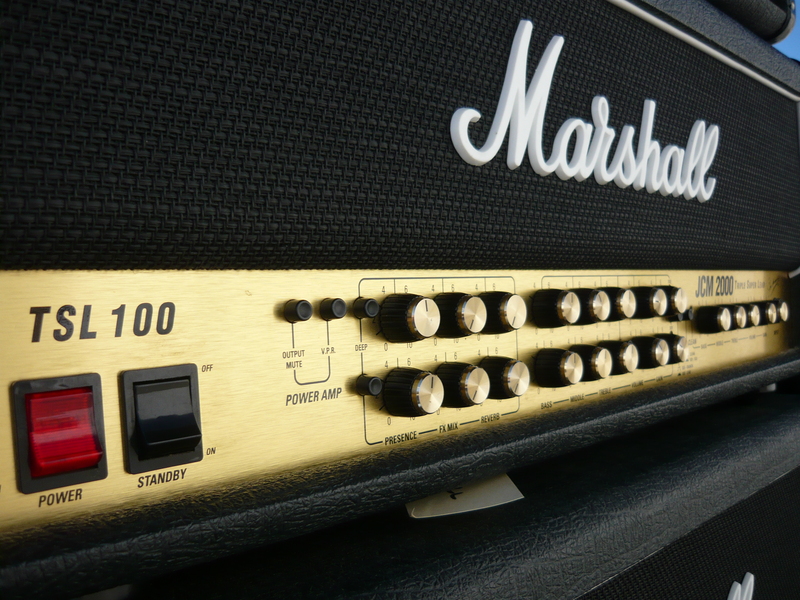 This entry was posted on July 1, 2012 at 8:52 am and is filed under Amp Repair, Amps. You can follow any responses to this entry through the RSS 2.0 feed. You can leave a response, or trackback from your own site.